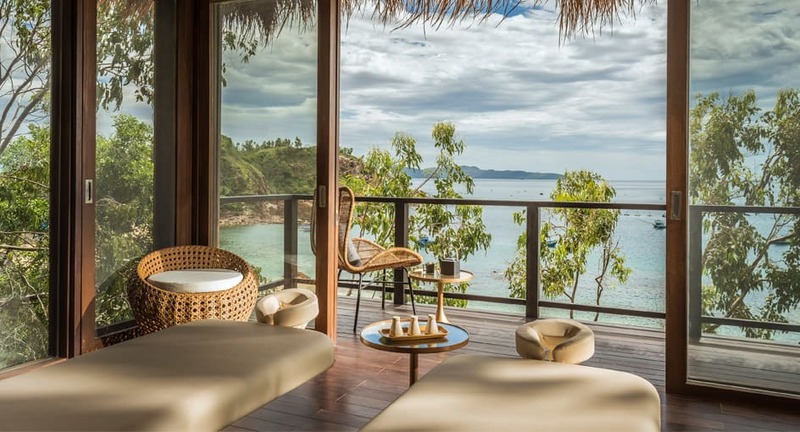 Unwind overlooking the ocean within a jungle spa resort in Quy Nhon. Follow the path through tropical jungle to a clearing fringed by ferns. A natural sanctuary awaits at our spa resort in Quy Nhon, fragrant with organic ingredients from the gardens such as lemongrass and ginger. Hide away in a treatment suite for two, soaking in a coconut milk bath before submitting to a massage. Spa in an al fresco cliffside pavilion, the ocean spread out before you. Choose the crystal-infused oil blend that resonates with your personality and mood, as we surround your body with precious stones. Submit to a purifying massage that releases stress both physically and emotionally, increasing energy flow and stimulating blood circulation. Eastern and Western massage techniques, combined with a signature Anantara oil blend, stimulate circulation, promote deep relaxation and restore energy flow for supreme wellbeing. Sink into a milky coconut bath overlooking the ocean. Submit to healing hands using Eastern and Western massage techniques to soothe muscle tension with meridian line oil. Beautify with a facial massage that uses micro hyaluronic acid and botanical extracts to encourage optimum cellular function for nourished, younger looking skin. NO DRONE POLICY: Due to privacy and safety concerns, please note that Anantara Quy Nhon strictly prohibits the operation of drones by guests on the resort.